SXSW was awash in technological devices and products, many of which were available with the right opportunities. Like the Samsung Galaxy Note and the Livescribe pen, I was able to receive a pair of Sol Republic Tracks headphones to listen to my music and podcasts with. My normal headphones tend to be in ear, since I like the portability and size, so I was unaccustomed to hearing over the ear headphones when I put them on. The Sol Republic Tracks rest on top of the ear, but have plenty of padding to keep them from being uncomfortable. I used them off and on for 12 hours with only minor discomfort, but that may just be because I am not used to these types of headphones than anything else. The cans are adjustable and can be easily slid up and down the headband or removed completely. The headband itself has padding on the inside of the top to keep them from being uncomfortable on the head. With good high range and solid bass, the Tracks sound really good. The solid construction gives music good depth and blocks much of the outside noise to allow more enjoyment from music. Even with spoken word, like podcasts, voices are crystal clear and easily to understand. Even when I loaned them to friends to try out, they were impressed by the sound. The only complaint I have about the Tracks is the bulkiness. Since I’m not used to wearing headphones this large, I’m unaccustomed to having to wear them around my neck or find a place to put them when I’m not listening to them. It’s nice that the cable can be removed when not listening to them, so they don’t get in my way. In addition to being removable, the cable has inline controls. When using the Sol Republic Tracks with my iPhone, I can not only raise and lower the volume put answer and hang up on calls with the press of a button. The ability to control my iPhone without having to take it out of my pocket while listening to music is always a bonus to me. 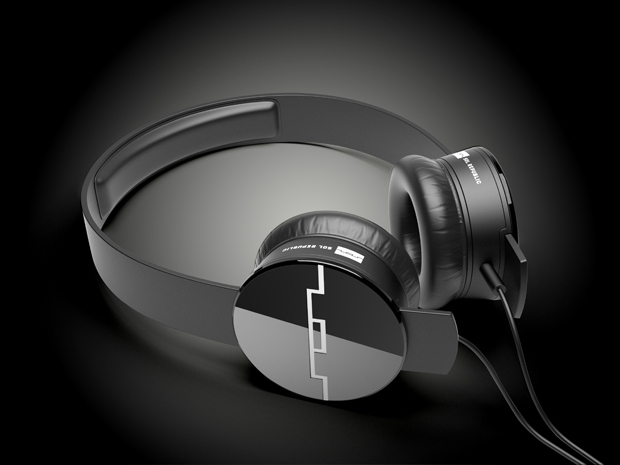 I really like the Sol Republic Tracks headphones. They sound great, feel good and work well with my iPhone. At a suggested retail price of $100, you can’t go wrong with these headphones.